Yield strength is that property of materials which gives us an idea of how they behave when subjected to external forces. This articles examines what yield strength is and the factors that influence it, to help give you a better overall understanding. 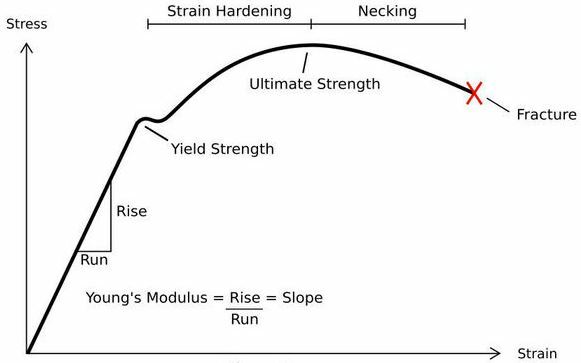 We'll talk about the stress-strain curve, and also how the yield strength compares for ductile vs brittle materials. A few methods that improve yield strength are also discussed, while providing insights into why it's imperative to learn about this property; whether it's for a minor design project or a major industrial application. Imagine pulling a rubber band with both hands, in opposite directions. The rubber band is elastic and expands. Beyond a certain point, however, when the band can no longer take the ‘stress’, it breaks. That, is yield strength for you. Materials, in general, exhibit elastic or plastic behavior. Elastic behavior is when the material regains its original shape, when the external force acting upon it is removed, like the rubber band. Plastic behavior is when the material changes its shape permanently or in a non-reversible way, when an external force is applied. Some materials exhibit elastic properties up to a certain level of external force or stress. When the force exceeds a threshold, the material starts to deform, like a plastic. The point at which a material makes a transition from elastic to plastic is called yield, and the stress which causes this yield is called yield stress or yield strength. Yield strength or yield stress is the stress at which materials begin to deform plastically. It is usually measured in Mega Pascal (MPa). Why do we need to know the yield strength for a particular material? 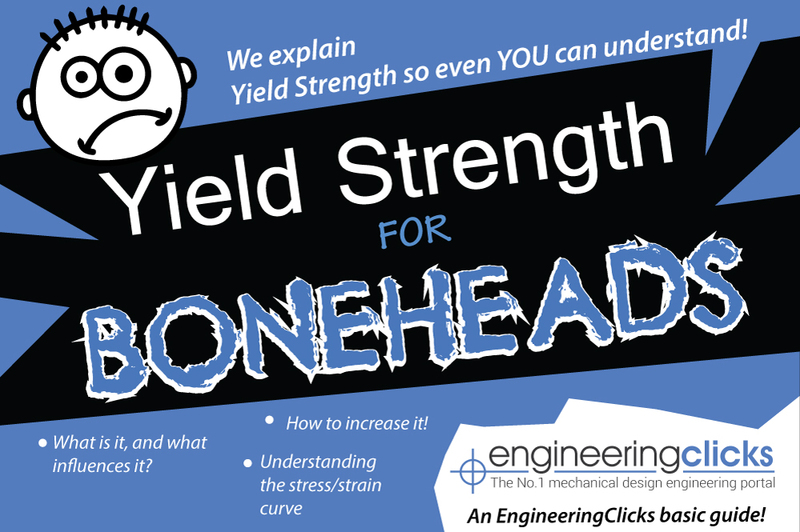 Yield strength is an important material property to consider while designing components. The material must be able to withstand forces during normal use for which it is designed, without undergoing plastic deformation. Thus, the yield strength of a material specifies the maximum load that can be applied, before deformation. 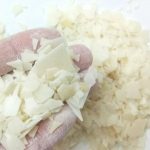 It also helps in choosing material reshaping techniques (rolling, forging and pressing) and cutting techniques (machining and shearing). A certain amount of stress that results in deformation in one material might not result in deformation in the other. As a consequence, different materials have different yield strengths. A graphical representation of the way in which a material behaves (or deforms, which is called strain) with respect to stress is called a stress-strain curve (see image). The curve shows the amount of strain for a given material at different levels of stress. It is interesting to see how differently ductile and brittle materials behave in response to stress. Ductile materials such as structural steel, ceramics, polymers and a few metals behave elastically up to a certain amount of applied stress. As stress increases, beyond yield point, they begin to behave plastically and start to deform. On the contrary, brittle materials like concrete, glass and cast iron, do not exhibit plastic deformation at all. They do not have a specific yield point and deformation occurs in the ‘elastic’ region. In general, the yield strength increases as the strain rate increases, and it decreases as the temperature rises. Note: Superalloys (ex. Inconel®) exhibit a phenomenon called yield strength anomaly, in which yield strength increases as temperature increases. This makes them particularly useful in applications that require high strength at high temperatures, like turbine engines. Is there a way to increase the yield strength in materials? What if a material that is otherwise perfect for your project, does not have the required yield strength? 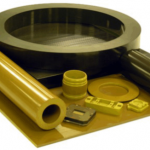 Fortunately, a materials’ natural yield strength can be altered through various means. Work hardening – In this process, a dislocation or an irregularity is introduced into the crystal structure. As a result of this, more stress needs to be applied to the material before it deforms, thus increasing its yield strength. 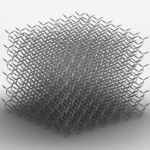 Solid solution strengthening – Here, the material is alloyed with a low concentration of solute atoms, by fusing them into the interstitial spaces of the lattice structure. This impedes motion of the dislocation, while improving the material’s yield strength. Particle/precipitate strengthening – Precipitates or particles are added to the material, which act as pinning points in the lattice. Dislocations would then either shear the particle or cause bowing or ringing. This increases the force required to deform the material. Grain boundary strengthening – As the size of grains in the material decreases, dislocations tend to build up at grain boundaries. More energy is then required for the dislocations to move to adjacent grains, thus improving yield strength. Whether you are designing a component for a small project or are designing a turbine that would be used in aircraft, knowing how a material behaves when it is subjected to external forces becomes a critical factor in the choice of materials. Data about a material’s yield strength also sheds light on its other properties like Young’s modulus, tensile strength etc., thus making it an important factor for consideration in any design.